Two leaders of this land – in different times and different ways, are depicted here. These were two men who had a great impact over events in our region. 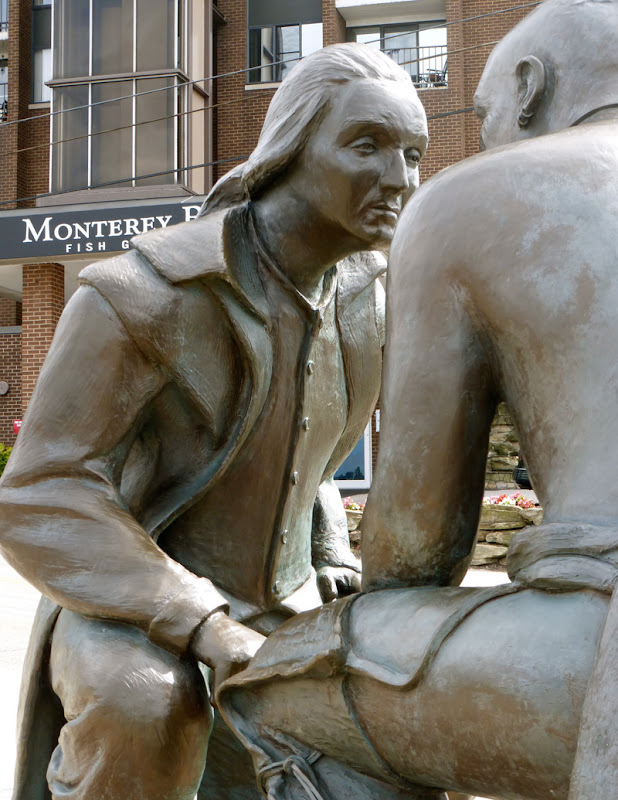 Guyasuta, a Seneca leader, and George Washington. At one point in time, Guyasuta acted as a guide for George Washington. 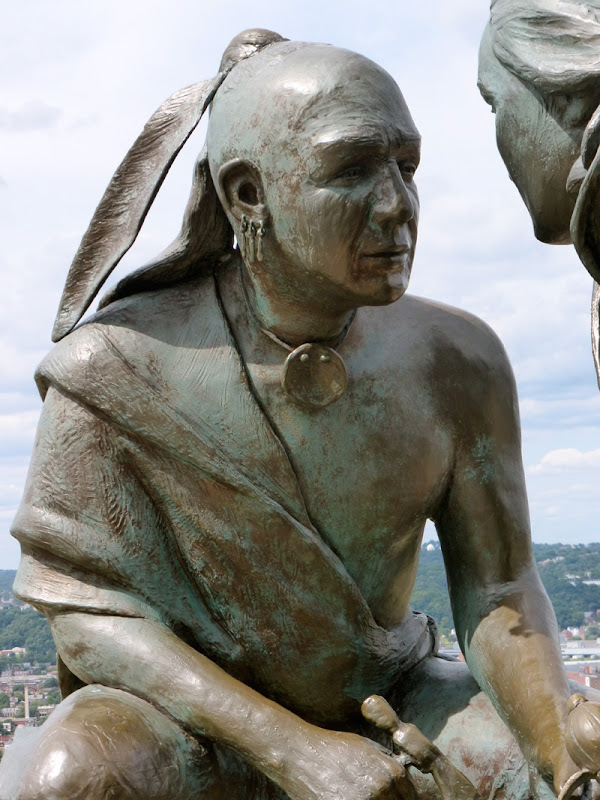 Later on he fought opposite Washington during the French and Indian war and again during the Revolutionary War. 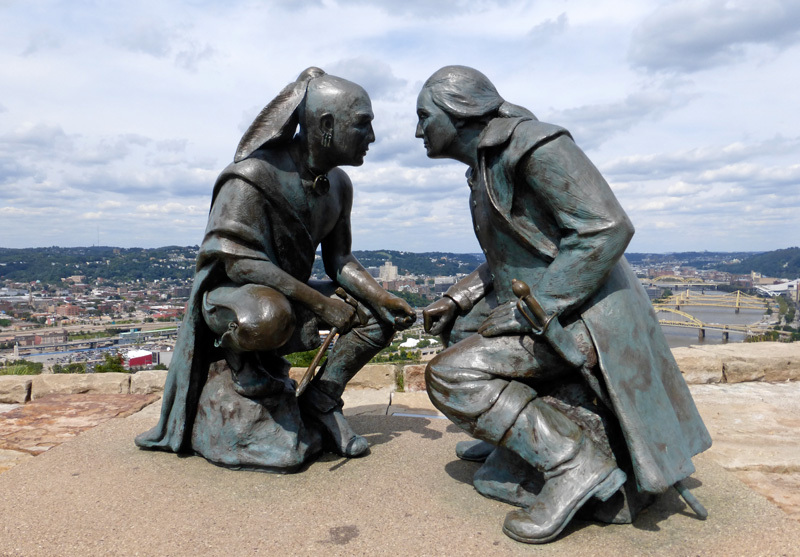 The sculpture captures a time when the two met in October of 1770. 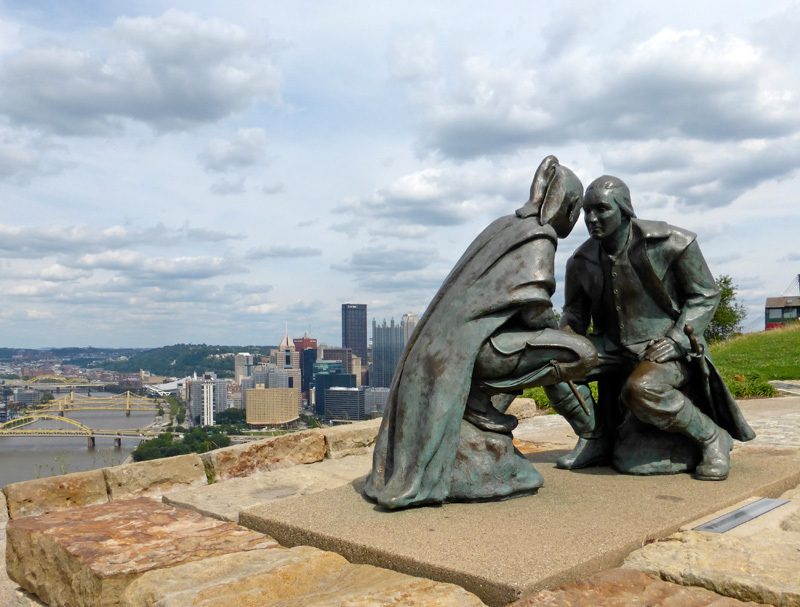 It sits on Mt Washington, overlooking the strategic land at the confluence of the rivers that they each had interests in. Apparently there is no record of exactly what transpired in the meeting, but at the time, Washington had come to survey the area for tracts of land he was given for his service in the French and Indian War. Unfortunately, this action was in conflict with the Royal Proclamation of 1763, which restricted settlement west of the Eastern Continental Divide.